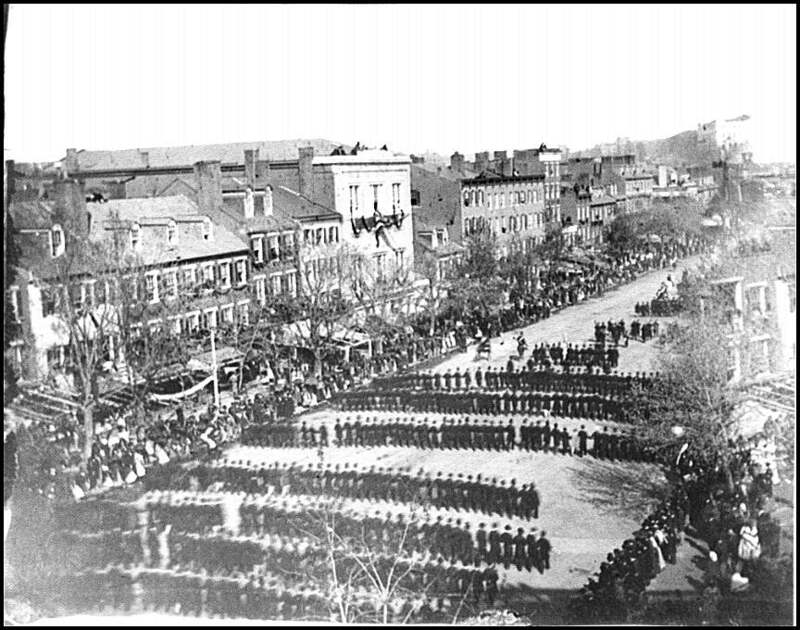 Mourning their fallen President, Americans held funerals for Abraham Lincoln in numerous cities. Roger Norton, who maintains a significant web site on the President’s assassination, tells us more about it: “Throughout the long journey, entire populations of rural America were waiting alongside the tracks as the nine car funeral train slowly passed by (the funeral car was the 8th car). For example, officials of Richmond, Indiana, estimated its mourners at 15,000 - a number greater than the city's population - at 3:15 A.M. in the morning! Depending on conditions, the train usually traveled between 5 and 20 m.p.h. Everywhere there were arches draped in black stretched over the tracks. 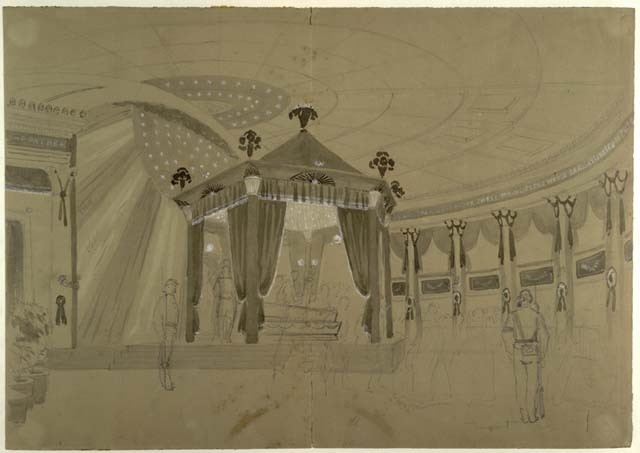 The grandest funeral spectacle in the history of the world ended with the closing of the tomb in Springfield.” This image depicts the hearse which carried the President’s body in Springfield. 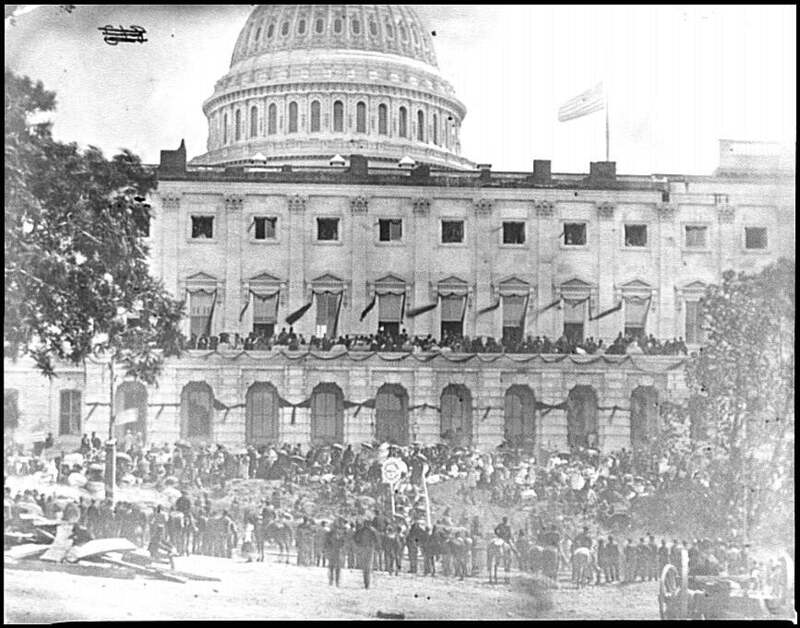 The U.S. Capitol, newly constructed in 1860, was draped in black after Lincoln's shocking death. So was the place of the murder, Ford's Theater. Following a custom of the time, "mourning cards" were printed commemorating the life of the slain leader. I knowed they'd kill him. I bin awaitin' fer it. In New York, someone took a picture of the President in his open coffin. After his New York funeral, the President's coffin was transferred from City Hall to the funeral car. 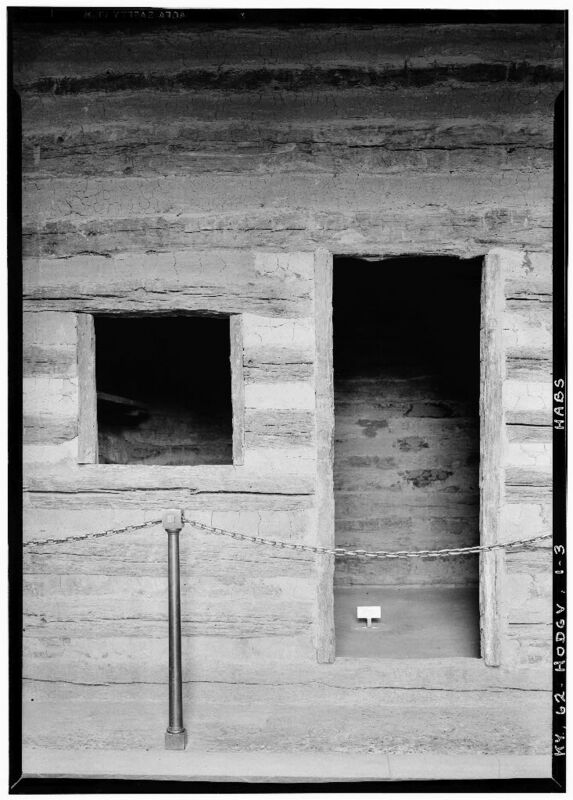 Lincoln's coffin was open during times of "viewing," so the people could see their slain President. A Buffalo, New York newspaper published a drawing of the open-coffin. 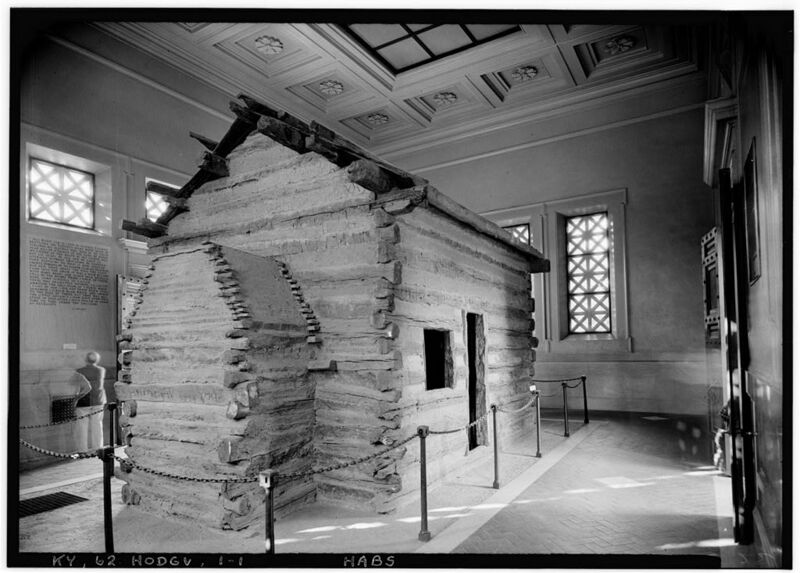 The people of Cleveland built a special structure, with gas lamps attached, "so that the remains could be easily seen at night, and to good advantage" (as reported by Harper's Weekly on page 308 of its May 20, 1865 issue). In Chicago, more than 125,000 people viewed his body as they passed by a special catafalque at City Hall. 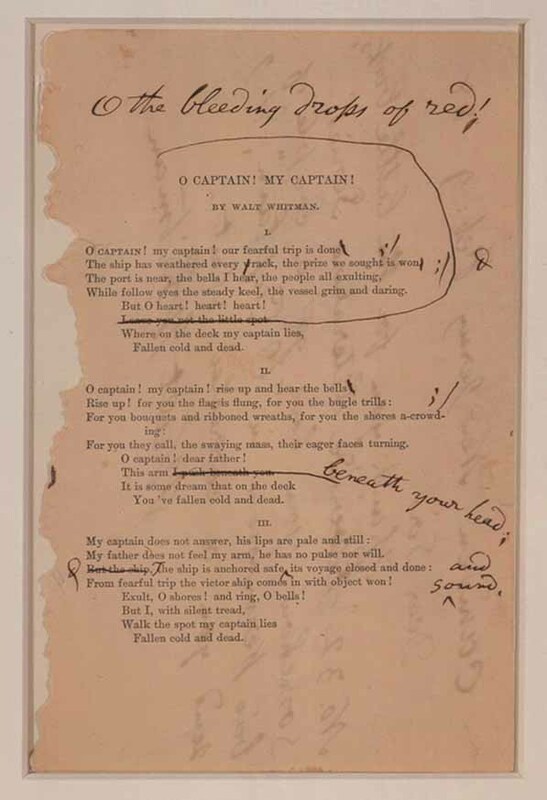 In 1865, Walt Whitman (whose poetry, among others Lincoln read) wrote "O Captain! My Captain!" to commemorate the President's death. Even in his lifetime, the poem became Whitman's most famous. It has been included in anthologies - one, the Riverside Literature Series No. 32, incorporated an earlier version which Whitman himself corrected - and referred to in movies (like Dead Poets Society starring Robin Williams and Ethan Hawke). Despite the nation's overwhelming grief at the loss of its first assassinated President - who had delivered his second inaugural address a mere six weeks before his death - the military and civilian law enforcement officials directed their attention to capturing the escaped, still-at-large killer. Bos, Carole "MULTIPLE FUNERALS" AwesomeStories.com. Mar 01, 2002. Apr 23, 2019. 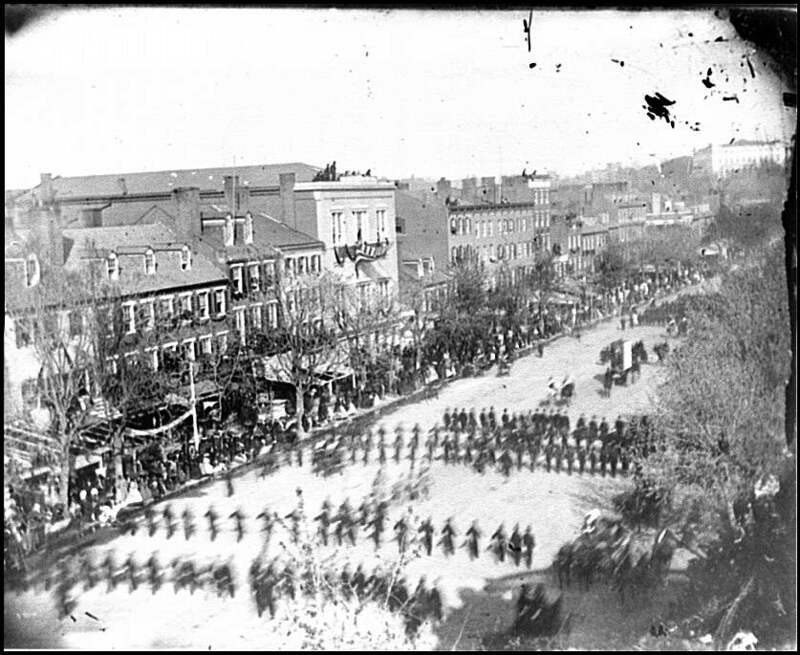 How Did Americans Pay Their Respects to President Lincoln?